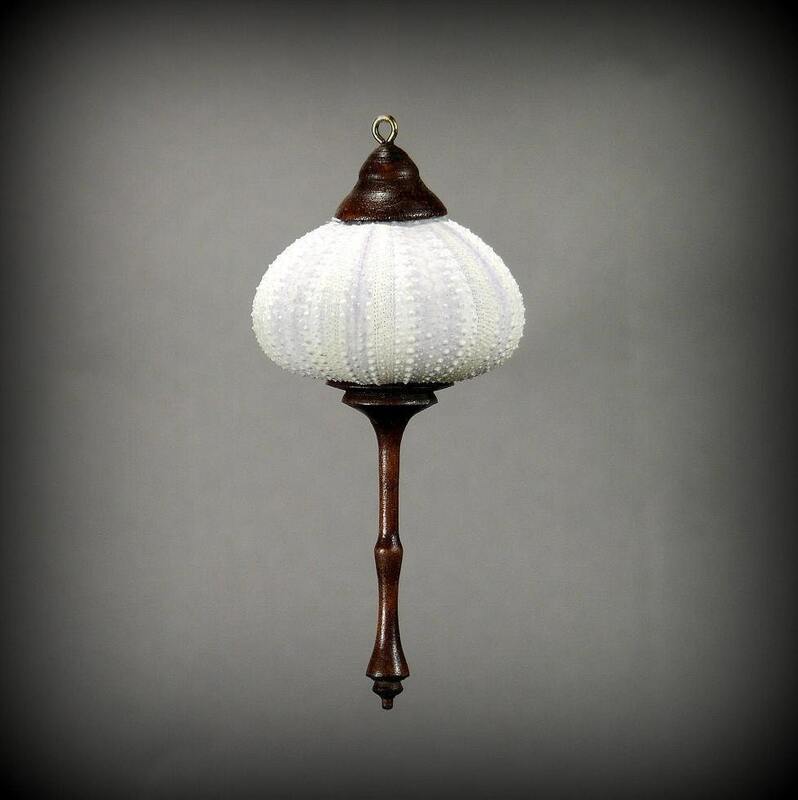 A delicate Purple Sea Urchin shell is the body of this hanging ornament. The cap and icicle are of dyed Gingko (Maidenhair Tree) wood. This is a very delicate piece, to be handled with care; it weighs less than 1 ounce. The shell diameter is 1-7/8 inches. Overall length of the ornament is 4 inches. Item # OR52, Purple Sea Urchin & Dyed Gingko Ornament.